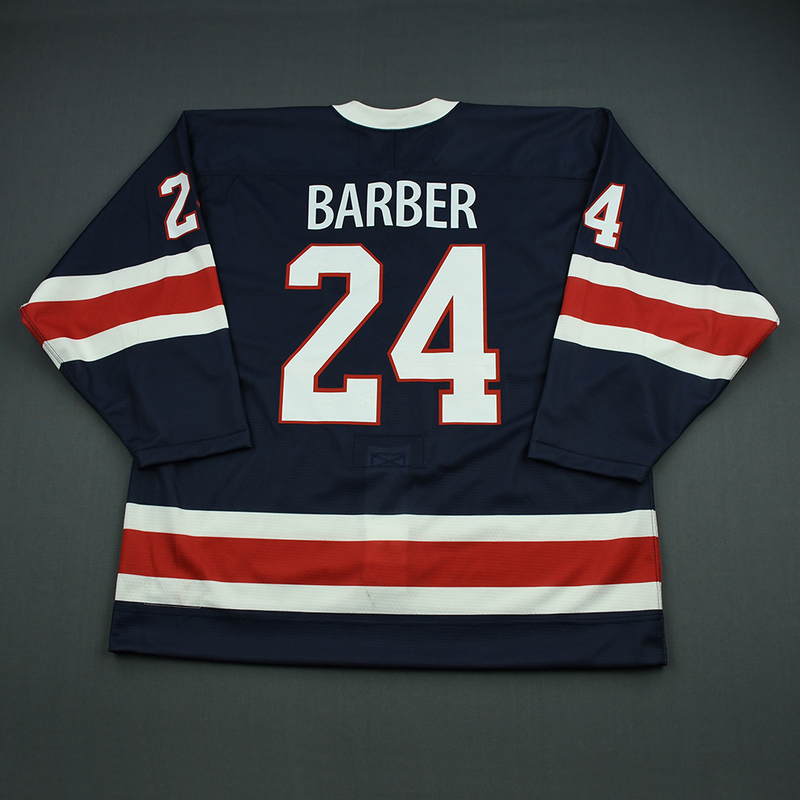 This auction is for the actual blue jersey worn by #24 Riley Barber. Barber had 1 goal and 1 assist in the game. He plays for the Hershey Bears in the American Hockey League, and is property of the Washington Capitals. 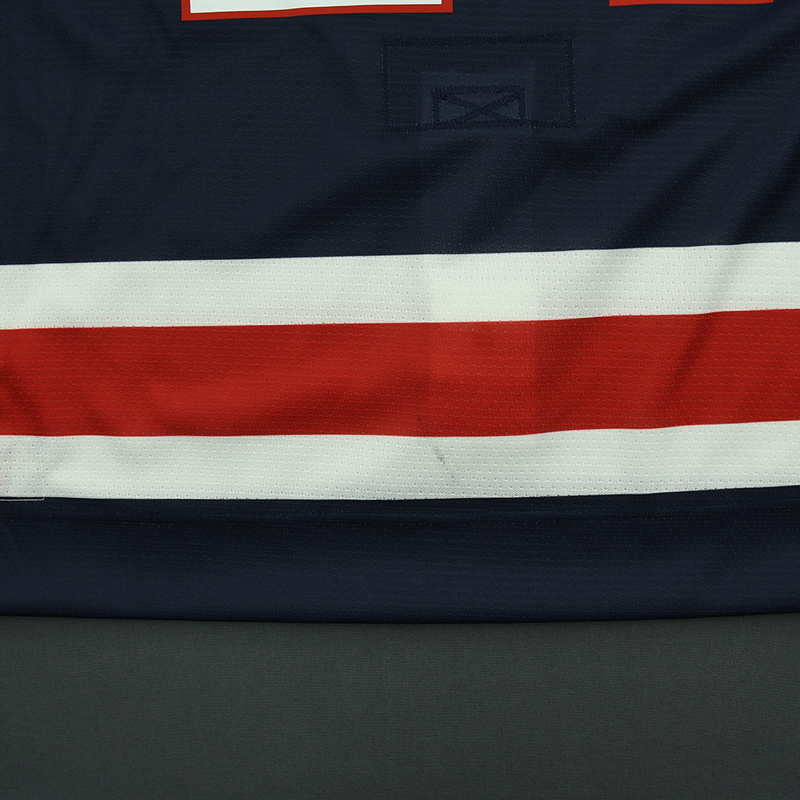 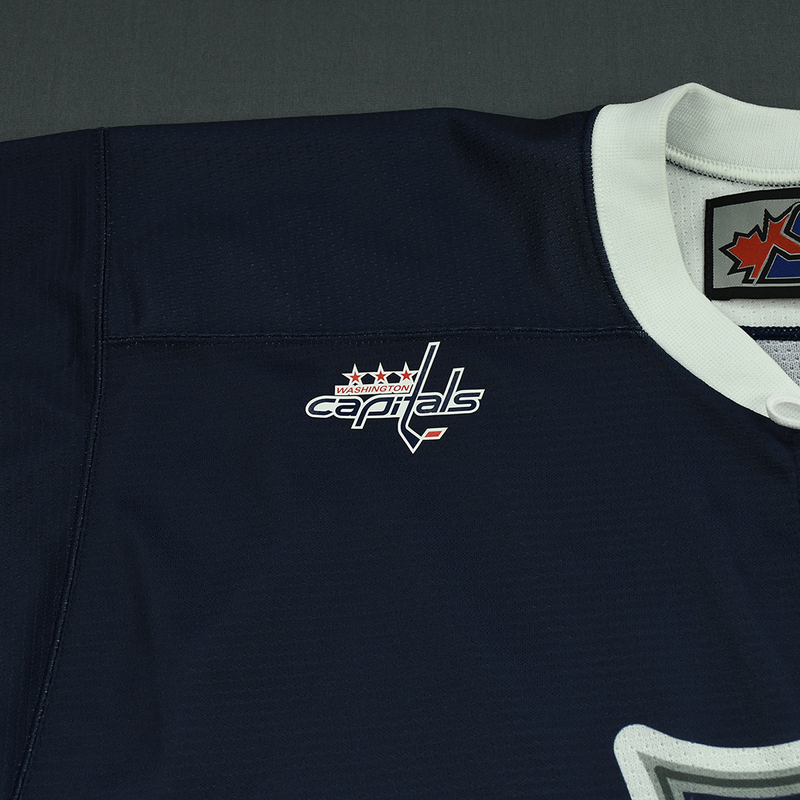 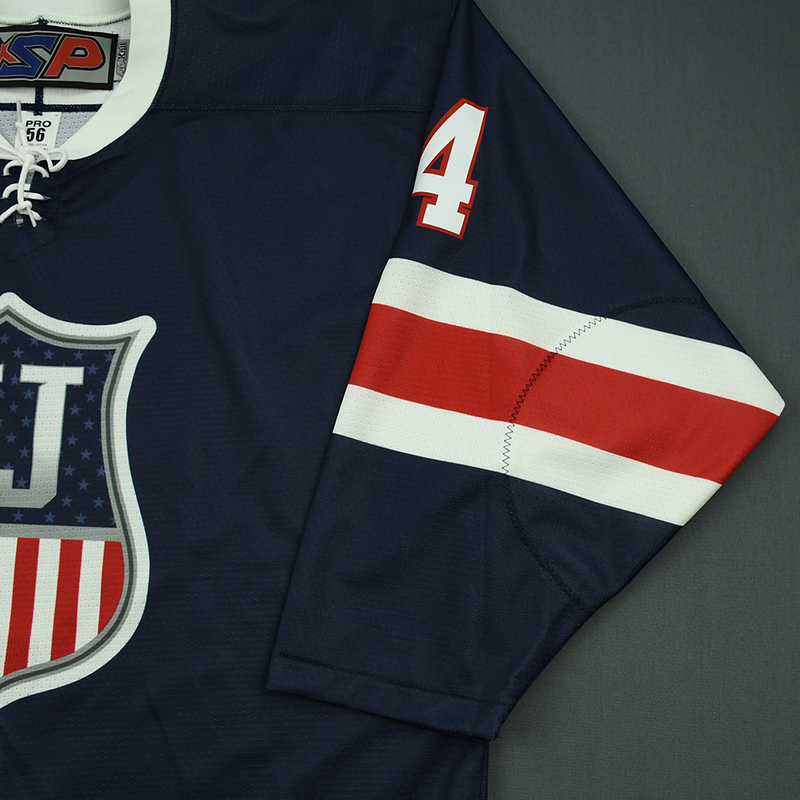 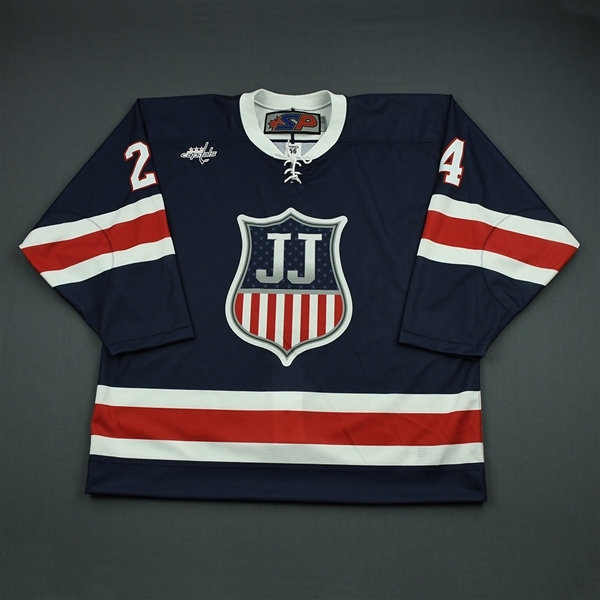 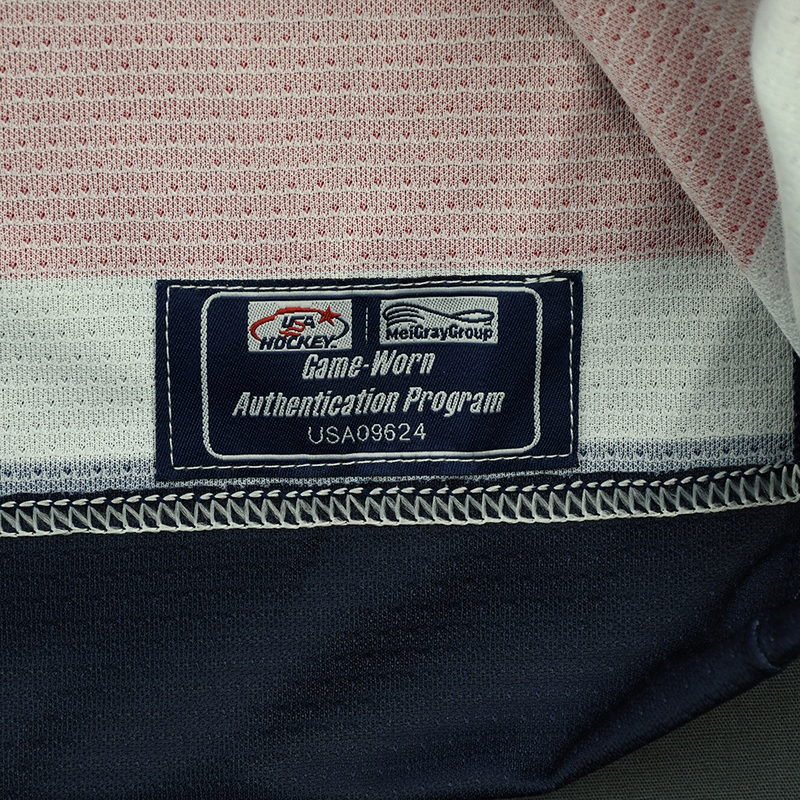 This jersey, a Size 54, has been registered in the USA Hockey-MeiGray Game-Worn Authentication Program as number USA09624.